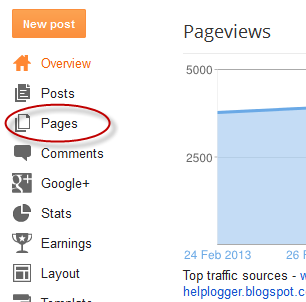 What are Blogger static pages? 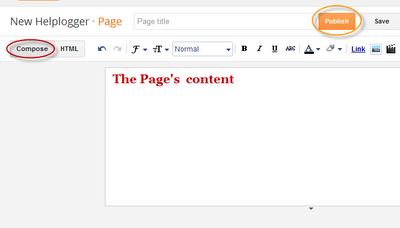 How to Create Static Pages in Blogger. Step 4. Type the title and write the page's content. Step 5. Before publishing it, click on Preview to see how it will appear on your blog. Step 6. When you have finished the editing, click on Publish button. Now you have owned the static page. If you want another static page, just repeat the steps above. Note: if you have opted for Don't show option: go to Pages again and right click on the page's title and select Copy link location (in firefox). You can add the link manually to your sidebar via Link widget or add the link in your template, via Edit HTML.